Coming up with original Valentine’s ideas for her can be a daunting task. Thanks to Zalando Lounge, it doesn’t have to be this way. With some of the most inspiring collections of clothing and accessories at your fingertips, you’re sure of getting it right. Lingerie is always a popular choice, and Zalando Lounge members can browse sales by dozens of upscale brands like La Perla or Victoria’s Secret at their leisure. Perhaps fine jewellery is her thing, or maybe she adores shoes. With daily deals offering discounts of up to 80%* and exclusive offers on the latest collections, you can afford to push the boat out this Valentine’s Day. At Zalando Lounge, we known exactly how important buying the perfect Valentine’s Day present is. So let’s think about how to make the 2018 Valentine’s gift the best present you’ve ever given. Although you’re looking for fabulous Valentine’s ideas for her, they don’t have to be on a grand scale. Some of the best things come in small packages and convey just the right message. Beautiful earrings or the perfect bracelet, jewellery is always a hit with discerning ladies – and it’s so romantic. At Zalando Lounge you’ll be able to discover exclusive sales featuring everything from designer watches to fine gold jewellery and classic pieces from popular labels like Pearl & Silver, Invicta, Joop, Henry, London and Nomination, Italy. Chic silk scarves, elegant leather gloves or the perfect belt are just a few alternative Valentine’s ideas for her. If you decide on a luxurious silk scarf or warm, winter gloves, pick her favourite colour or opt for red, the traditional colour for Valentine’s Day. A red scarf or wrap will brighten up any winter outfit and shades like berry, scarlet, fuchsia, crimson and cherry flatter every skin tone. When it comes to Valentine’s Day favourites, lingerie is right at the top of the list. However, it’s important to hit just the right note so leave the novelty items for another time. Explore campaigns featuring boutique brands such as La Perla or Victoria’s Secret for bras, robes, camisoles, French knickers and suspender belts. If you’re buying underwear, be sure to check her size first. The easiest way is to simply look at the label on a garment that she wears regularly – that way you won’t spoil the surprise. Dinner at a sophisticated restaurant is one of the most popular Valentine’s ideas for her and, of course, she’ll need something special to wear. A gorgeous top or glamorous dress will show that you care, and with up to 80% of top high street brands like River Island and Dorothy Perkins, you’re sure to find one that’s just right. Ladies, next time you’re browsing the fabulous clothing collections at Zalando Lounge, it may be worth pointing out a few of your favourites! There’s so much more to choose from when you’re looking for Valentine’s ideas for her at Zalando Lounge. Maybe she would love a cosy bathrobe or a beautifully cut jacket. Regular sales on designer sunglasses and handbags are always a hit and they’re items that your partner will enjoy well into the future. Zalando Lounge offers members access to exclusive brands at amazing prices through regular, limited time sales. Leading brands, top designers and unique one-of-a-kind labels ensure that there is something for every fashion-conscious shopper. 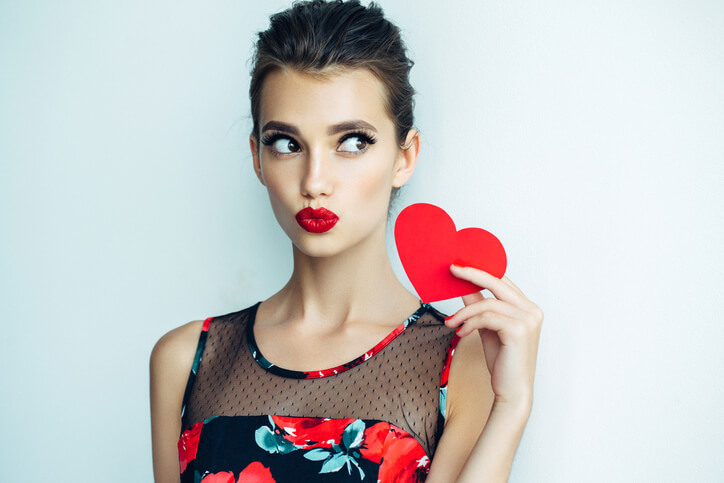 New sales are listed each day and members can choose from hundreds of stylish Valentine’s ideas for her with discounts of as much as 80% on the regular retail price. Sign up today and make this Valentine’s Day memorable.